You may shy away from certain, controversial personal post-labor art plans, such as this placenta teddy bear, but these gorgeous, personalized pieces of umbilical cord art from Little Cord Art may encourage more people to be a little more thoughtful with their after birth plans. As with many art (and business) ventures, inspiration for Little Cord Art began at home with the founders' own birth experience. 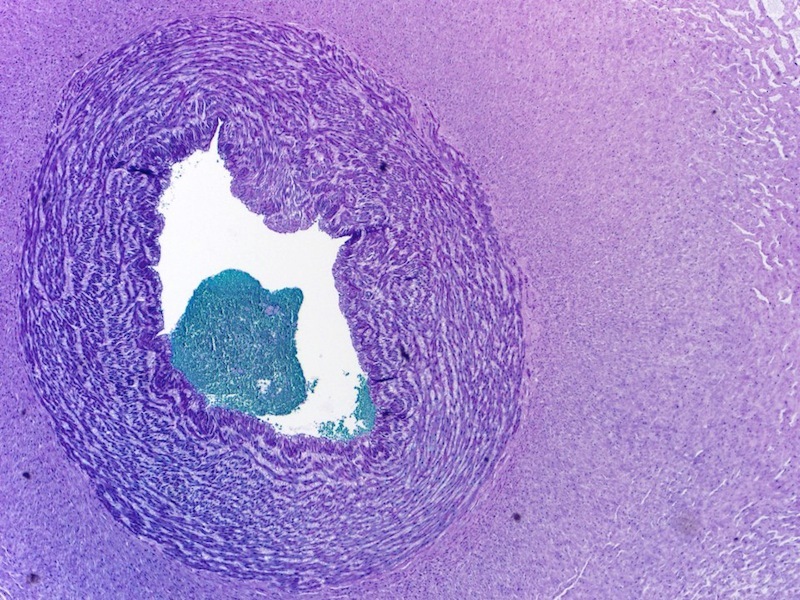 The curious father (who also happens to be a doctor with training in pathology) became interested in looking at the umbilical cord tissue from their son under a microscope and eventually they stained it and made a print of the cord's cross section, creating the first Little Cord Art. 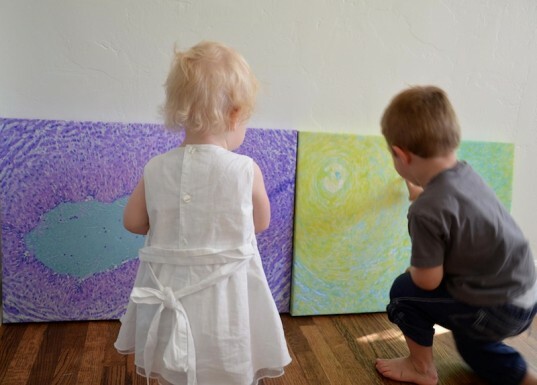 Parents-to-be can choose from a variety of shapes and styles as well as colors and sizes, ensuring the perfect fit for their new art addition. And while it makes sense to display these works in your baby’s nursery, they are so tasteful and artful we think they’d be at home anywhere in your abode or even your office. Just make sure your doctor or midwife or healthcare provider is on board with the plan (Little Cord Art provides easy, tasteful instructions for them to cut and save the umbilical cord piece). Each print is printed on a museum-grade cotton canvas using archival inks to ensure this one-of-a-kind masterpiece lasts long enough for your little one to grow up and order his or her own Little Cord Art when the time comes! Little Cord Art ranges in price from $360-$500 depending on the shape and size of the canvas you select. Parents-to-be can choose from a variety of shapes and styles as well as colors and sizes, ensuring the perfect fit for their new art addition. And while it makes sense to display these works in your baby's nursery, they are so tasteful and artful we think they'd be at home anywhere in your abode or even your office. Just make sure your doctor or midwife or healthcare provider is on board with the plan (Little Cord Art provides easy, tasteful instructions for them to cut and save the umbilical cord piece). Each print is printed on a museum-grade cotton canvas using archival inks to ensure this work of art lasts long enough for your little one to grow up and order his or her own Little Cord Art when the time comes!